It’s one thing for hurricanes or tornadoes or even fires to take away our historic places, but it’s harder to swallow when, as with the three major demolitions in this year’s list, perfectly livable buildings become the victims of public or private malfeasance, negligence, or pure oldee vindictiveness. DEMOLISHED BY FORREST COUNTY SUPERVISORS, Sept. 29, 2018: Pat Harrison Waterway District Office. One of Mississippi’s best public mosaics went to the landfill over a weekend. Is Another Antebellum Columbus House–Beckrome–In Danger of Being Demolished? Lest you think Columbus is finished with its tomfoolery, remember that the Columbus Redevelopment Authority still has plans to demolish most or all of the Burns Bottom Historic District–see MissPres News Roundup 3-20-2018. Maybe we can get through 2019 with a better resolution on the part of Columbus to treasure its wealth of historic neighborhoods and landmarks. Catch up on previous end-of-year posts . . .
this kind of post is always sad to read. ‘sic transit gloria mundi’. The destruction of the mural was heinous and criminal. I’ll add a building to the list. 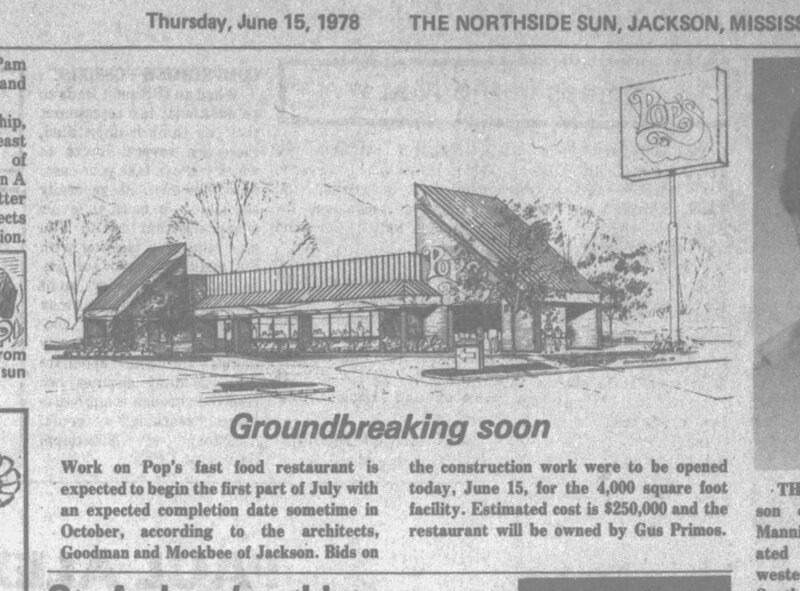 “Pop’s” an early Sambo Mockbee (c.1978) design was demolished. More recently it was Grants Kitchen. Oh my goodness! I was a frequent visitor to Grant’s Kitchen and was sad to see it had moved and the building demolished, but I had no idea it was a Mockbee! I did think the interior had some interesting details, but I never took any pictures, phooey! This post would be much, much longer if we had the time to do regular News Roundups. That is where most of our Auld Lang Synes of past years were culled from. But, like Malvaney said, paywalls and newspaper reporting cut-backs have seriously affected what becomes “news.” Combined with schedules that prevent Malvaney, Rosell, or myself from doing time consuming News Roundups and no MissPres readers stepping up to volunteer to take the job, and we are left with only three (now four with Rosell’s comment) historic buildings chronicled as being demolished in 2018. Who really believes that only four important historic buildings were demolished in 2018? Not me, for one.